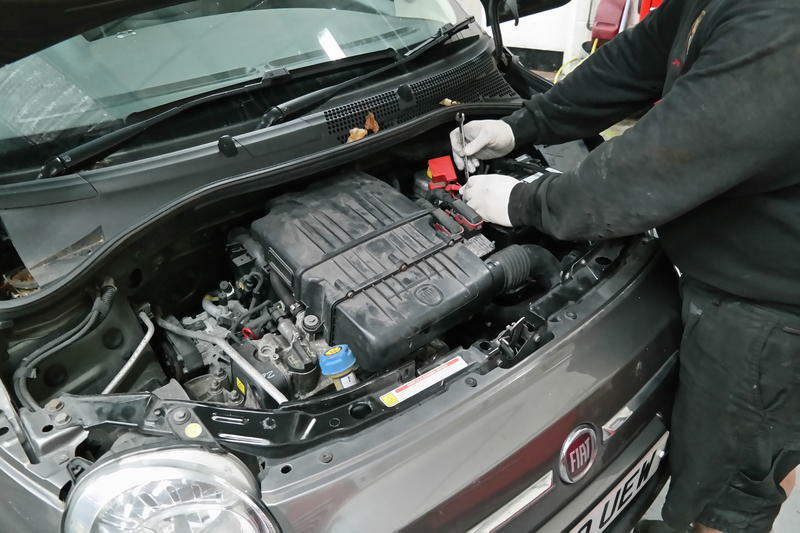 These simple to follow instruction guides for the Fiat 500, are based on many years of experience of maintaining cars in our workshop. They are popular with the trade, the do-it-yourself customer as well as owners who just want an idea of what is involved. We point out common problems as well as time saving methods that we have developed from our extensive knowledge, built up over the years. We would of course, always suggest you take your vehicle to a Fiat specialist who has the experience and specialist tools, but if you're doing your own maintenance, you must always use a model specific workshop manual, and rigorously follow all safety advice contained within it. Fiat 500 Rear wheel bearing removal.